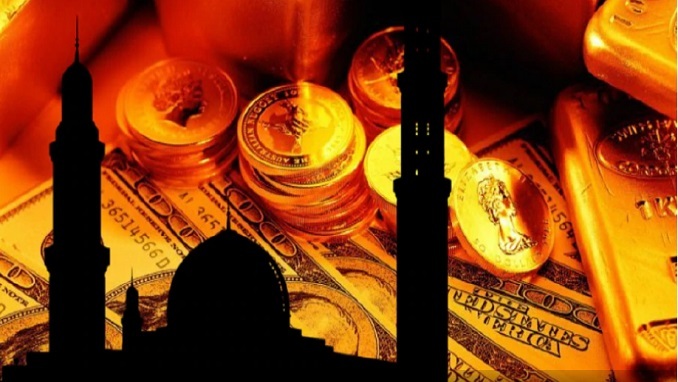 Amid growing popularity of Islamic finance in parts of South America, two small nations in the north of the continent with a relatively sizeable Muslim minority population are now proactively seeking Islamic funding by the top international Islamic banking institution. The news emerged when the finance ministers of Guyana and Suriname, Winston Jordan and Gillmore Hoefdraad, were representing their respective countries at the 44th annual general meeting of the Islamic Development Bank (IDB) in Marrakech, Morocco from April 3 to 6. During their visit, both ministers struck deals with the IDB for a variety of funding initiatives, US-based news portal Caribbean News Now reported. Among others, Suriname signed a murabaha agreement worth $25mn as a loan facility intended for the import of basic goods, medicines and medical equipment, as well as agricultural produce. They also agreed on a loan for the expansion of power generation, transmission and distribution systems in Suriname for $41.3mn, as well as on a strategic partnership with the International Islamic Trade Finance Corp, an independent member organisation of the IDB, worth $75mn for the next three years. This partnership will use the funds to support small and medium-sized enterprises in Suriname, provide technical support and promote trade relations. Suriname is no stranger to Islamic finance. It was the first country in South America which opened up to Islamic banking after the Central Bank of Suriname in 2017 approved Islamic finance products and services in the banking sector. At the end of the same year, the first Islamic bank on the entire continent, Trustbank Amanah, started operations in the capital Paramaribo. The Muslim population in Suriname represents about 15% of the country’s total population, which is the highest share of Muslims in any country of South America. With regards to Guyana, a nation with about 8% Muslims, the country’s finance minister approached the IDB to extend funding for the training of local staff for the country’s emerging oil and gas sector. He said there was a particular shortage of electrical engineers, mechanical engineers and welders, among other skilled professions. The funding could come from the $900mn in credit the IDB has already made available for Guyana last year as Islamic funding for development of Guyana’s economic infrastructure, rural development, educational capacities and improvement of trade and competitiveness. Among the envisaged projects to be financed by Islamic funds are the construction of hydropower systems and road links to rural communities, the construction of potable water and sanitation systems and co-operation in halal ecosystems. There are also plans to build national highways to connect agricultural land with communities and markets, as well as to develop marine ports to improve Guyana’s access to international shipping lines. Apart from that, the government in Georgetown also plans a waqf investment programme to support care initiatives for the elderly. Since 2018, when the $900mn credit line programme started, the IDB has approved three projects, a grant for the upgrade and modernisation of a geriatric facility, a $20mn murabaha line to expand and upgrade the electricity transmission and distribution system, and a programme to support and expand Guyana’s rice industry to make it more productive and competitive. Compared to Suriname, Guyana is more a laggard in providing an Islamic finance framework. There is currently no regulation on Islamic finance in Guyana, and also no Islamic bank.